Busy night? Need supper on the table in 30 minutes or less? 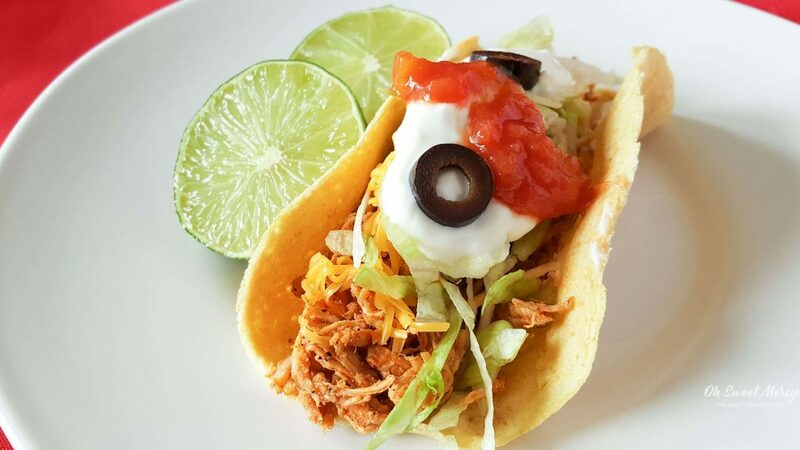 This 30 Minute Chicken Tacos for the Instant Pot recipe is just what you want for Taco Tuesday, Cinco de Mayo night (or any night, really). 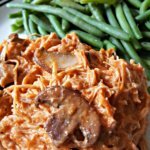 This easy shredded chicken tacos filling is naturally low in fat and carbs, making it a very versatile choice for the discerning Trim Healthy Mama. Just 4 simple ingredients, that’s all you need! There have been many times that I just start throwing stuff together when making supper. We call that “throw the spice cabinet at it” around here. 99% of the time it turns out pretty tasty. But, you really don’t have to use a lot of ingredients to make a delicious meal. It doesn’t have to take complicated techniques or equipment, either. If you have an Instant Pot, you probably know exactly what I mean. Throw a few simple ingredients in there, set it and forget it, and voila! Supper is done in a flash. This super easy shredded chicken tacos recipe uses just fresh chicken breasts, tomato sauce, salsa and my favorite taco seasoning. Add some salt and pepper if you like, but depending on the taco seasoning you use it may not need it. It’s hard to believe so few ingredients can end up tasting so delicious, but that’s exactly what happens! 30 Minute Chicken Tacos – seriously, 30 minutes start to finish! Many times, Instant Pot or pressure cooker recipes don’t include the time it takes to pressurize and depressurize. I paid careful attention and even with NPR (Natural Pressure Release) these chicken tacos were ready to go in just under 30 minutes. That means while the chicken taco ingredients are cooking you can work on preparing toppings and taco shells and have your complete meal ready to serve in 30 minutes. One note though: I did use fresh chicken for this recipe and sauteed them for a few minutes while getting the other ingredients around. Using the saute function helps the IP come up to pressure more quickly. Starting with frozen chicken breasts means it will take a bit longer for your IP to pressurize. Using the saute function can help with frozen chicken too. 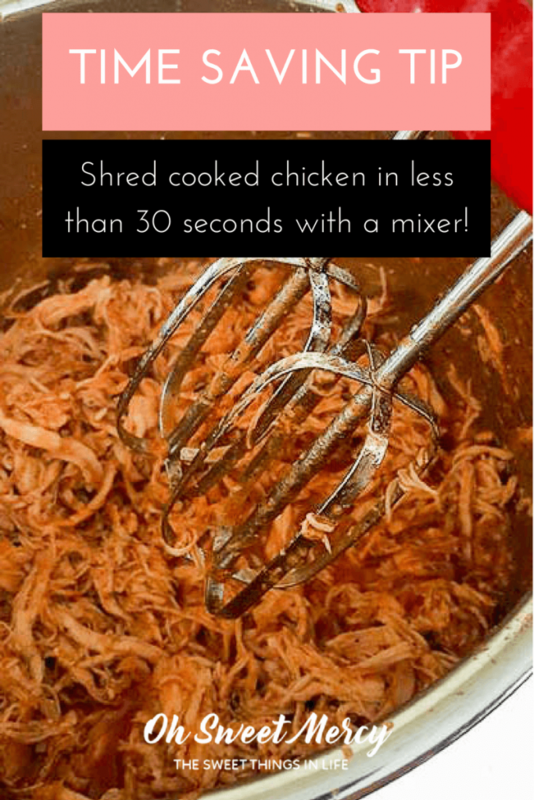 Plus, if you utilize this amazingly simple technique for shredding your cooked chicken, it will take less than 30 seconds to shred your chicken taco meat. I kid you not. Less than 30 seconds! It can splatter a bit, so you might want to cover the top of the Instant Pot with a towel. Use a hand mixer right in your Instant Pot and have less dishes to clean! These chicken tacos are not only quick but healthy and THM friendly! This quick and easy chicken tacos recipe, as written, is naturally a Fuel Pull on the THM plan. That means it’s low in fat and carbs. Fuel Pulls are wonderful because they can party with satisfying S meals (higher in healthy fats and very low in carbs) or with energizing E meals (very low in healthy fats and moderate amounts of healthy carbs). They also make a great meal on their own and help keep your body’s metabolism guessing. 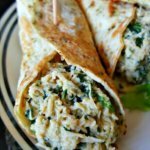 S serving suggestions: use an on plan low carb wrap* (see suggestions below), sprinkle with shredded cheese, top with lettuce, peppers, a few onions, black olives and a dollop of sour cream or Greek yogurt. E serving suggestions: make a big layered chicken taco salad with 1/2 cup brown rice or quinoa and 1/2 cup of my Chili Lime Black Beans (another Instant Pot recipe), tomatoes, onions, peppers, and my delicious Creamy Cajun Ranch Dressing. FP serving suggestions: choose a low carb wrap, keep your chicken serving to 3 ounces, load up with non starchy veggies such as peppers, dark leafy green lettuce, and a few tomatoes. Top with 0% Greek yogurt or Creamy Cajun Ranch Dressing. My favorite low carb wraps are found at Sam’s club in our area and they are $5 for 20 tortillas! You an also order them on Amazon – they’re Prime eligible AND a Subscribe and Save item so you can have them delivered regularly right to your door. Try the Wonder Wraps in the THM Cookbook, on page 204. Try the modified Wonder Wraps recipe that includes a bit of masa for corn tortilla flavor! Nana’s Little Kitchen has that easy recipe. Low Carb Sandwich Wraps from Wonderfully Made and Dearly Loved are also perfect for these chicken tacos! Joseph’s lavash or pitas are also great options. You can usually find them at WalMart, but Amazon also has them. You can even buy a convenient 3-pack deal, one each of lavash, pita, and mini pitas! In honor of Cinco de Mayo, why not make some quick chicken tacos tonight for supper? 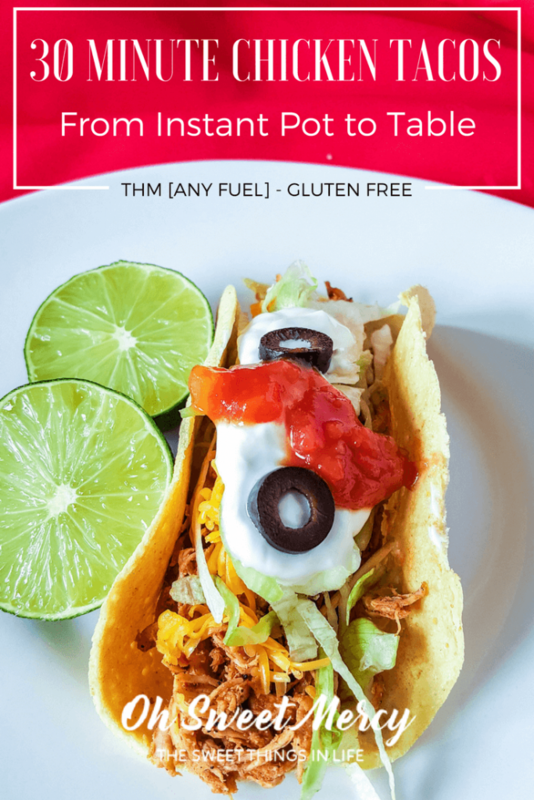 This quick, tasty, and healthy chicken tacos recipe is ready in 30 minutes when you use fresh chicken in your Instant Pot! Use a mixer and shred the cooked chicken in under 30 seconds. Just 4 simple ingredients, too! THM friendly for any fuel style. Secure lid and make sure vent knob is set to "sealing"
Nutrition information is approximate and based on 3 cups of shredded chicken taco meat. Depending on the size of your chicken breasts you may have more or less than 3 cups. You’ll want to pin this 30 Minute Chicken Tacos recipe to your favorite pinterest boards! Am unable to find the taco seasoning you mention. Any recommendations on substitute? Thanks! I need to update this recipe, sadly Wildly Organic (previously Wilderness Family Naturals) discontinued this taco seasoning. I do have a DIY Taco Seasoning Mix you can try or you can use your favorite taco seasoning. If you’re a THM follower just make sure it doesn’t contain off plan ingredients if it’s store bought. Sorry for any inconvenience! I’ll update as soon as I can, I’m having an issue with my recipe card plug in I’m trying to get resolved so will update this when that is taken care of.